This will download from the developer's website. MBOX to PDF Converter is the best way to Convert MBOX File to PDF and will make it possible to Print MBOX files to PDF format. With advanced features convert batch MBOX Files and attached files in PDF format without any error or interruption. To Print MBOX file to PDF format in batch with the help of MBOX to PDF Converter by PCVARE is the best method to pick. 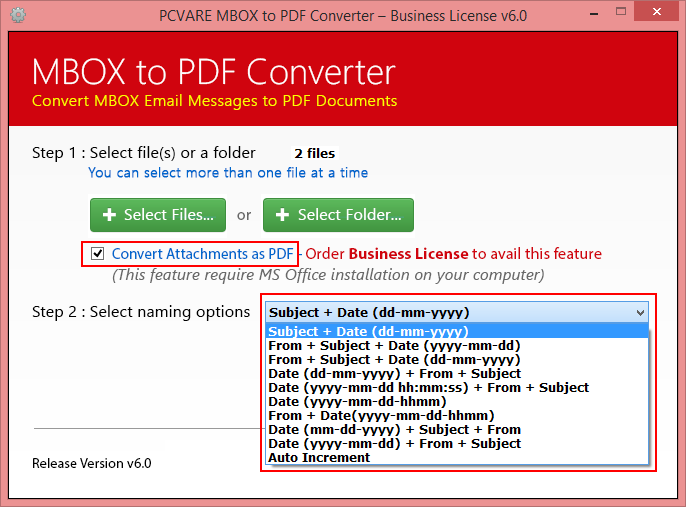 MBOX is a Mailbox file format which contains unlimited mails but MBOX to PDF Converter will convert MBOX file to PDF as in single pdf for single mail separately. No attachments will be lost, even user can convert attached files in PDF format too by using given option. Software will retain all the emails data and will be kept secured. Unlimited emails can be converted using Tool, Print MBOX File to PDF no matter what size of the mailbox is. Each and every detailing of emails and data formatting will be protected. 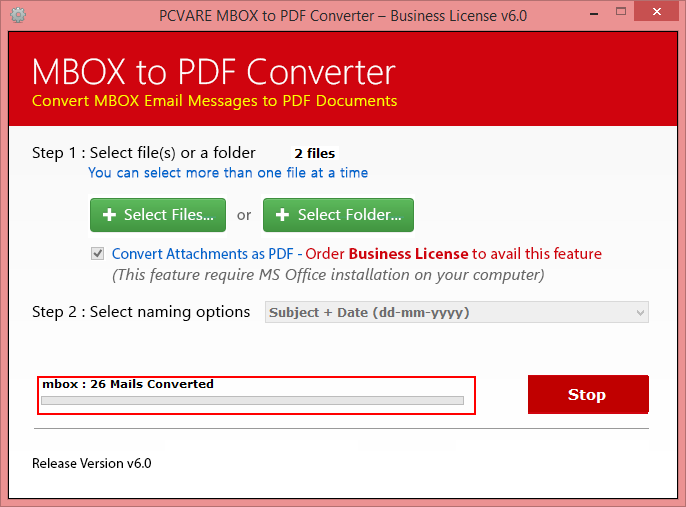 User can convert MBOX file exported from Apple Mail, Spicebird, Horde Mail, Postbox Mail and many more email client and after conversion open PDF in any of edition of adobe reader without any technical error and all the attached files will be appended in each of the converted PDF. Tool successfully runs on Win 10, Win 8.1, Win8, 7, etc.